“The Complete Stories” gathers more than 80 works from the career of author Clarice Lispector. If you want to understand the stories of the Brazilian author Clarice Lispector, the best thing to do is just dive in. The more than 80 stories gathered here for the first time display an uncanny variety of perspectives and subjects. They range over lives, characters, and cosmos, some requiring only that the reader float along on a river of words, others demanding that she hack her way through, as in a jungle. In one story, Lispector may shift from philosophizing to phantasmagoria, from abstraction to punchline. Stories launch in lush wild settings, move to domestic ones, then become studies in pointillism. Lispector was an émigré from an émigré family. Born in 1920 to Russian Jews who fled the pogroms for Brazil, she shot to fame at age 23 with her novel, “Near to the Wild Heart,” the same year she married a lawyer-turned-diplomat. The couple lived with their children in Europe and America for almost two decades. 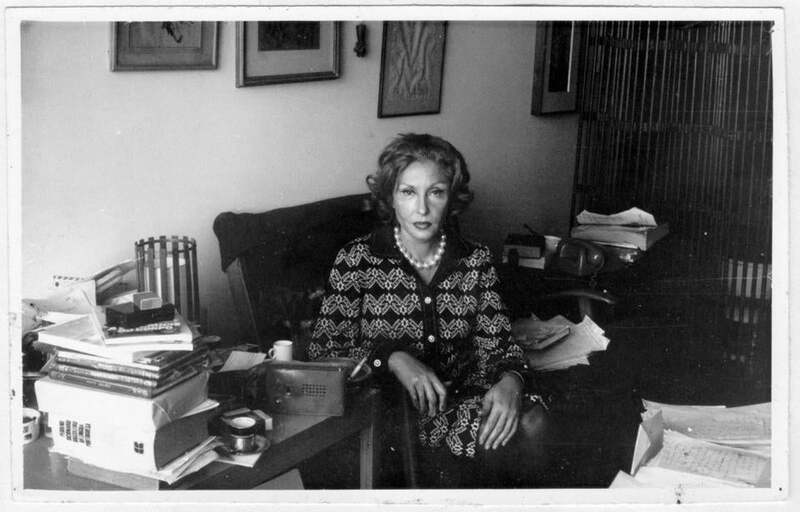 In 1959, Lispector divorced and returned to Brazil, where she wrote fiction until her death from cancer in 1977. It is not surprising to learn that a cult sprung up around the beautiful, blond Lispector, who earned comparisons to Virginia Woolf, Chekhov, and Nabokov. In this collection, Lispector’s style — stranger than that of any of the writers she is compared to — might put off some fans of literary realism. Some stories are so brief that after reading them I thought: That’s not a story! But there are many rewards. One is to watch Lispector’s interest in the chance encounter — in serendipity — evolve into a power she exploits formally. In “Another Couple of Drunks,” she even leaves the last line blank, as in a cliffhanger. Many of the best stories are about women confronting the world. In “Jimmy and I” the narrator follows her first boyfriend’s philosophical advice to fall in love with whomever she wants by falling in love with someone else. Which leads him to dump her. “Only, the change in Jimmy continued to fascinate me. It’s such a good theory!” are the last lines, summing up the limitations of a certain kind of didact-man. All sorts of women appear — from young housewives to old maids. Few of them know how they got where they did. “She’d fallen into a woman’s fate, with the surprise of fitting in as if she had invented it,” thinks Ana, in “Love,” which is either about the humble delights of domestic life or the opposite. These women often become aware of themselves through collisions with someone or something. In “One Day Less,” a lonely woman waiting for death reaches for it after a crank-ish phone call. In “Beauty and the Beast or The Enormous Wound,” a society woman encounters a beggar and realizes how beggarly her own life is. In “The Buffalo,” a woman goes to the zoo and wanders around, eventually fixating on a buffalo, which represents to her a man who has spurned her. The buffalo may or may not charge her. In his informative introduction to “The Complete Stories,” Benjamin Moser, who wrote the well-received 2009 biography of Lispector “Why This World,” makes a provocative assertion. “Before Clarice, a woman who wrote throughout her life — about that life — was so rare as to be previously unheard of,” he writes. That made me want to reimagine literary history for a second: What if Lispector had been a presence alongside the American literary giants, Bellow, Roth, and Updike, whose contemporary she essentially was? In a late stream-of-consciousness story, “Soul Storm,” the last line might reveal that Lispector knew that her stories were too radical: “I am well aware that I’ll have to stop, not for lack of words, but because these things, and above all those I only thought and didn’t write, don’t normally get published in newspapers,” she writes. We are the richer now having the chance to see so much of what she did think and publish. Rachel Shteir is the author of three books.